New (or not-so-new) CDs from rising or already popular artists that deserve blog recommendation or word-of-mouth spread. Posted in: 2 Shout-out-Looks, 8 CD Watch. Tagged: Arirang TV, Basia, Clazziquai Project, Love Recipe, Swing Out Sister. My taste in music is unpredictable, such that there are times when my ears are so enamored by songs I don’t even understand the lyrics of. But throw in strains of bossanova and I am instantly hooked. Call it LSS (last song syndrome) if you will, and one of Clazziquai Project’s latest outputs is currently playing inside my head like a broken record waiting for the turntable needle to give up any minute now. Clazziquai Project – one of Korea’s relatively underrated singing trio – reminds me of Swing Out Sister drizzled with Basia on top. ‘Love Recipe’ grabbed me on the spot when I was watching ‘Pops in Seoul’ on Arirang TV a few nights back. I bought and downloaded three of their albums on iTunes right after. And I was not disappointed. The style may be categorized as predominantly electronic, but practically all their songs (with English versions for some) are enough to relax or lull me to deep slumber. Posted in: 2 Shout-out-Looks, 8 CD Watch. Tagged: Akafellas, Baihana, Brownman Revival, Cathy Go, Daniel Grospe, Deejay Poblete, Duncan Ramos, Ebe Dancel, Gary Granada, Jay-R, Joey Ayala, Marie Digby, Mark Bautista, Nyoy Volante, Philippine Popular Music Festival 2012, Rocksteddy, Sam Concepcion. Philippine Popular Music Festival 2012: The Fourteen Finalists By Various Artists – MyMusicStore Philippines. Posted in: 8 CD Watch. Tagged: Aliw Awards, An Everlasting Love, Arnel de Pano, Awit Awards, Back to the Bible, Brilliance of the Seas, CMMA, Eric Santos, More Than Just Renditions, Muntik na Kitang Minahal, Musikatha Ministires Foundation, OMF, Pakisabi na Lang, Philippine Bible Society, Reuben Laurente, Royal Caribbean International, The Company, Zia Quizon. Earlier last month, I received a message from Reuben Laurente, one of the former male vocalists of the top singing group The CompanY. Remember the hit songs “Everlasting Love”, “Pakisabi na Lang” and “Muntik na Kitang Minahal”? Well, he takes credit for being part of the same. After leaving the group some years back, he embarked on a solo career which led to his first pop album titled ‘Pop Virtuosity’ (a track of which – “A Single Soul” – won for him an award for Best R&B Recording). However, it is in another genre where he is destined to create a self-actualizing niche, i.e., gospel music. But since the latter is not the most popular in the country, he remained low-profile despite receiving trophies from CMMA (Best Inspirational Album) and Awit Awards. Five solo albums later, the opportunity to work overseas landed on his lap. Up to now, he is one of the Featured Performers aboard the M/V Brilliance of the Seas of Royal Caribbean International, where he entertains guests every night with world-class production numbers. He just recently renewed his contract with the cruise ship and is all set to wow everyone once more with his excellent singing voice wherever the vessel travels to – from Miami to Dubai to Oman to India to Estonia to Russia to Belgium to Scandinavia and the rest of Northern Europe. And just to prove that he is doing really well in this field, Awit Awards awarded him (and fellow singer Anna Fegi) a Special Citation for being Filipino Recording Artists Championing the World of Cruise Entertainment. “More Than Just Renditions is so special to me as it is an album featuring people in the industry closest to my heart. Composers like Arnel De Pano (Lead Me Lord), Jungee Marcelo (Hataw Na, Sayaweh, and Zia Quizon’s hit song ‘Ako Na Lang’), Soc Villanueva (Bituin Escalante’s Kung Ako na Lang Sana) and Eric Santos’ Kulang ako kung wala ka among others contributed to the collection. It is called “More Than Just Renditions” because the difference is the message, and how the message can be a great source of inspiration. I thank Musikatha for this opportunity of being able to share music through this album. While he was given the tag of Pop Virtuoso when he started his solo career, Reuben is more happy and fulfilled performing songs that give praise and glory to God. He is not afraid to forge ahead where no other previous mainstream artist dared. He attributes all the blessings in his life to Him. Watch the audio video below of Reuben’s interpretation of “Put Jesus First in Your Life” to hear and feel his heartfelt relationship with the Lord. For those who want to buy a copy of “More Than Just Renditions”, the CD is available at PCLI/PCBS bookstores, Back To The Bible, OMF, Philippine Bible Society, Lighthouse, House of Praise in SM, Robinsons and Gaisano Malls. Right now, don’t be surprised if you get to see the same in the CD racks of SM record bars. Inspite of the gospel direction, distributors felt that it still contains enough pop appeal to be bought by ordinary consumers. 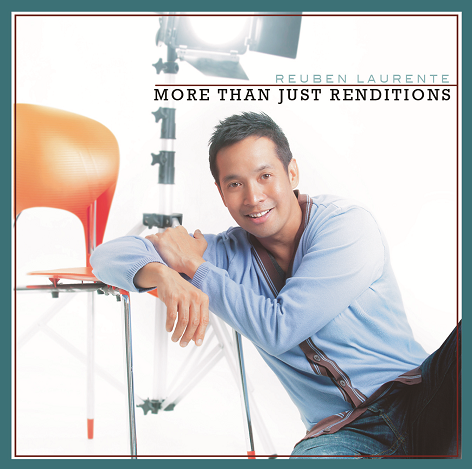 Let’s support Reuben Laurente and ‘More Than Just Renditions’! Zia Quizon: the daughter also rises and how! Posted in: 8 CD Watch. Tagged: Ako Na Lang, Dolphy, Mambobola, So Much in Love With You, Zia Quizon, Zsa-Zsa Padilla. 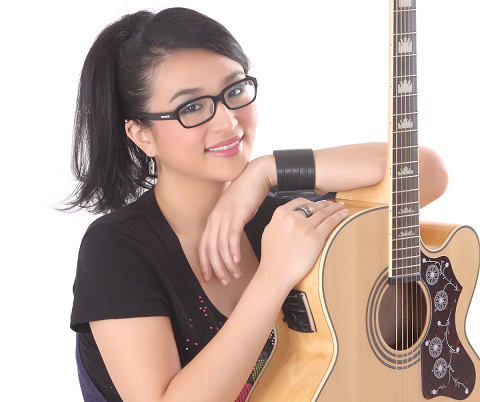 Zia Quizon's star is starting to rise! Being the daughter of comedian Dolphy and singer/actress/diva Zsa-Zsa Padilla has its benefits, pedigree being the primary reward. And to further discover that singing runs in her bloods, Zia Quizon is all set to take her celebrity status to the forefront with the release of her self-titled first (mini)CD “Zia”. The girl can really sing. I can even add that, in a few years’ time, she will eclipse her famous mom in terms of vocal talent. The voice immediately reminded me of Norah Jones but a bit classier in sound and Adele but more cheery. Her cover verson of my all-time favorite “So Much In Love With You” was enough to melt me away. And her carrier single “Ako Na Lang” is a pop tune that doesn’t compromise too much in favor of commercialism. Try listening to her own take on “Mambobola” and you will agree that this talent will go far. Posted in: 8 CD Watch. Tagged: Blue Monday, Love Fool, Mariah Carey, Miguel Escueta, Mr. Brightside, MYX Philippines, New Order, Now It Starts, Only Hope, Paul Abdul, Rush Rush, The Take Back, We Belong Together. Last weekend, I dropped by my favorite record store (Odyssey at Alabang Town Center) after the sumptuous birthday lunch of my sister at Cafe Mary Grace. I was in the mood to go OPM that day and browsed through the various local selections. Actually, I already had Miguel Escueta’s “Now It Starts” cd in mind so after picking one out, I happened to see Up Dharma Down’s Bipolar so I ended up buying two. And I was not disappointed to say the least. But let me focus first on the latest output of the Party Pilipinas rocker, that is, Miguel Escueta. I see him every Sunday singing with the other male vocalistas in the same. But since he only gets to perform a song or two, I’m always left wanting for more. His style stands out among the almost identical R&B sounds of fellow artists like Kris Lawrence, Joshua Desiderio, Gian Magdangal and Jay-R. He is more edgy without losing the pop nuances that keep him well within the parameters of the show’s mainstream audience. “Organic, real and fresh” – the 3 words used by Miguel Escueta when asked to describe his new full length album “Now It Starts.” The new originals on this album are, according to Escueta, the most “honest and sincere” he has written to date. “Lyrically, I just feel I said it the way it had to be said. No more metaphors or underlying meanings. Just pure honesty.” The album has cover songs as well – his carrier single “We Belong Together” (Mariah Carey), “Rush Rush” (Paula Abdul) and “Love Fool” (The Cardigans), among others. “I’m very proud of how we attacked these covers in arrangement and production. Its always scary to record famous cover songs, but I’m very happy with how we did on this record because I feel that we’ve turned them into our own and are now definitely fun to perform LIVE,” M.E. shares. This album is actually Escueta’s 2nd full length offering, the last one coming in 2007 with his debut release “I AM M.E.” In 2008, a special deluxe version of the debut album came out and last year the E.P. “Sleeping While The World’s Awake” was released which served as a prelude to the new full-length album that hit stores just last week. The E.P. tracks are, of course, included in this latest release. 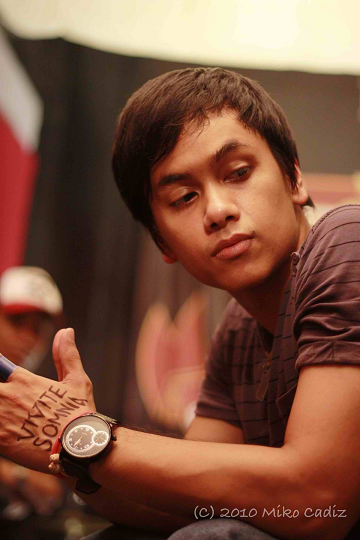 He is set to launch the album on national TV with his band on Party Pilipinas (GMA7) in the coming weeks. With his carrier single “We Belong Together,” Miguel is all geared up and ready to set the stage and energize audiences. The special video of “Now It Starts” is only available for viewing on the Internet. So If you haven’t seen it yet, just log on to http://www.miguelescueta.com. The Offical Music Video for his carrier single “We Belong Together” is also available on youtube.com/mcamusic. The new album “Now It Starts” is now for sale in all major record bars nationwide courtesy of MCA Music Inc. and brought to you by VANS, Human, Roadtone Guitars, Southern Musician, Decawake Davao and Heartfire Studios. If you want to know more about Miguel Escueta, you can visit http://www.miguelescueta.com/. There, you can learn more about his music, his band, his gigs, more photos, downloads, and personal thoughts. You can even send him a message or two. I know that he (or Team ME) tries to personally answer all queries, kudos and the like so give it a go! He is quite an appreciative person. In the meantime, why don’t you head over to a record store nearest you and buy his cd? Trust me, you won’t regret it. Alternatively, you can download his songs from iTunes via this LINK. For Smart subscribers, he has several ringback downloads available HERE. 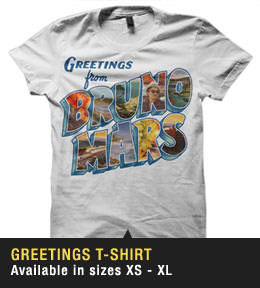 CD Watch: Bruno Mars’ debut solo album “doo-wops & hooligans”! Posted in: 8 CD Watch. 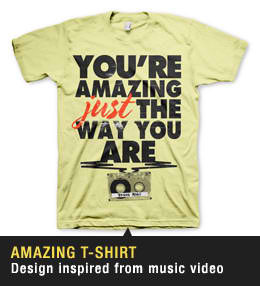 Tagged: Bruno Mars, doo-wops & hooligans, Elektra Records, Just the Way You Are. And if you’re truly a fan, then you should know by now that his much-awaited debut solo album titled “Bruno Mars/doo-wops & hooligans” is out in the market or via iTunes or Amazon. Now, before you start falling in love with his music, watch this Greetiings video of Bruno Mars where you are likely to up your interest in him even more. Of course, it doesn’t hurt knowing that he is half-Pinoy! If you’re interested in catching his fall tour in the US, UK, Germany, Netherlands, Sweden and Denmark, then visit his website where all the dates are listed together with the ticket prices.